Stay in the heart of Fredrikstad, close to the train and bus station. Our hotel is located right in the centre, only a stone’s throw from the old town Gamlebyen, the pier, shopping and culture. 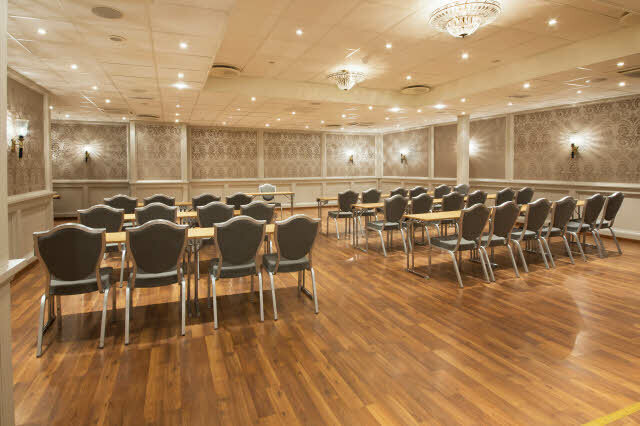 We can offer great meeting & conference facilities adapted to our customer’s wishes and needs. For lunch and dinner, we recommend a visit to our restaurant City Spiseri. If you wish to book a meeting room, we have 8 rooms to choose from. Our largest room has a capacity for up to 400 participants. All our meeting rooms are flexible, and most of them have natural daylight. As our guest you will of course have access to free WiFi and ClickShare. Our restaurant, City Spiseri, works with the best ingredients. That means that we have varied menus throughout the year where guest will experience being seduced by the best seasonal flavors. Experience one of our best dishes or build your own meal. Scandic City is located in the heart of Fredrikstad, only a 10-minute walk from Fredrikstad train station. The airport shuttle bus stops 50 metres from our hotel, and the ferry that takes you to Gamlebyen and Isegran, is just a few minutes away. Don't skip training! Sure, the beds are comfortable, but a workout spikes up too. You can work out at the nearby gym Spenst Brygga. Ask for directions in the reception. Make sure your next meeting in Fredrikstad is close to public transport, interesting cultural sights, team-building activities, shopping and good restaurants. Scandic City offers you all of this.